Showreel Bingo is one of the newest online bingo sites, having launched in February 2012. The site runs on QSB bingo software and is registered in Alderney. 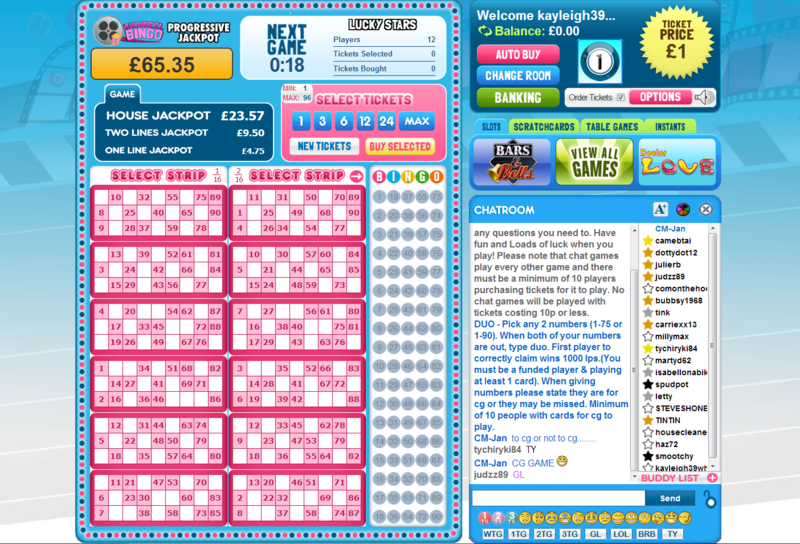 This is the second online bingo site to be launched by 15 Network. The site is bright and inviting from the offset and has a modern feel to it. There is no software to download to play bingo at Showreel Bingo but you will need to register. This is no big deal as registration takes just a minute or two and consists of a few personal details and contact details. You are asked to provide card details in order to perceive your free 200% welcome bonus but Showreel Bingo states that they will not take any funds without your consent so at this stage you are just securing your bonus. The site offers 75 ball and 90 ball bingo as well as table games, slots and scratchcards so there's a good variety of games to keep you busy. The lobby shows you 90 ball games, 75 ball games, £100 jackpot games and instants and a selection of mini-games including slots, scratchcards, table games and instants. There's even daily free bingo between 9am and 1pm. The lobby tells you the jackpot and Chat Host on duty in each room, as well as the game start time and ticket price, there's less than 5 bingo rooms available to play in. Tickets start at just 5p and don't appear to exceed £1 and that's for a special game so price wise, this site seems very reasonable. The bingo rooms is equally as bright and fresh looking as the rest of the site and all the important game info is clear to see. Players can choose their own cards and can choose to play a mini-game alongside their bingo or have a natter in the chat room. The Chat Hosts seem very friendly and lots of fun and the roomies on site seem a friendly bunch. This bingo site could be big news, there's a really welcoming welcome package and a good selection of games. Ticket prices will suit every budget and there's some pretty generous prizes up for grabs too. The social aspect of the site is a major feature and is sure to be popular amongst players. Don't hang about, head over to Showreel Bingo today and get yourself signed up. No, you are not required to download this bingo game, there is an instant play version at Showreel Bingo. No, Showreel Bingo does not offer a downloadable version but you can play instantly on the site.